""This is a tremendous compendium. Ed Burke has assembled some of the greatest cycling minds of our time and put them to good use." Lennard Zinn Technical editor, VeloNews and Inside Triathlon ,",". 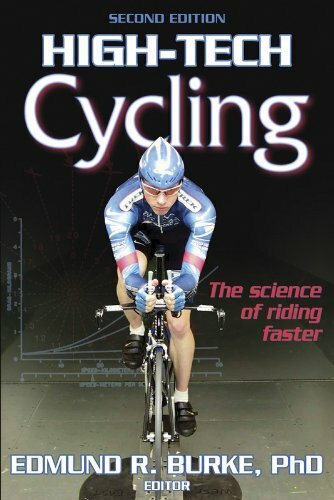 "with discussions ranging from basic equipment selection to the nuances of optimal cycling biomechanics, High-Tech Cycling contains a wealth of information on a variety of topics that will be of immediate interest to cyclists of all levels and abilities.""" Steve Johnson, PhD Chief Operating Officer and Director of Athletics for USA Cycling From Tailwinds """This book provides valuable insights into the dynamics that exist between the cyclist and the machine, and serves as a noteworthy final tribute to Ed Burke and his commitment to cycling science."" "
Offering clear explanations and practical applications for cutting edge science, this book details critical performance issues for both road and mountain biking. The scientific justification for equipment positioning and training decisions is expained, illuminating the human-technology interface.